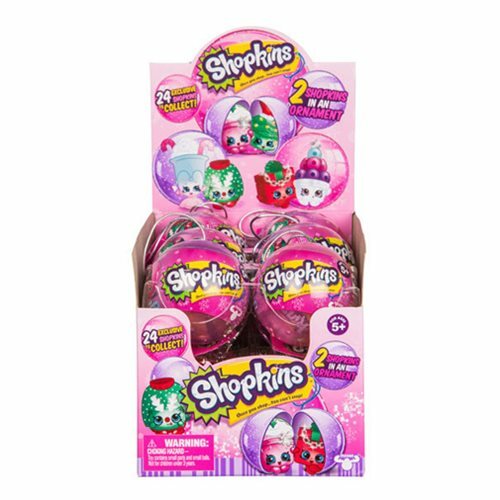 Celebrate the holidays with Shopkins! Each 2-Pack in this Shopkins Christmas Surprise 2-Pack Display Tray is blind-packaged, and comes with two random Shopkins Mini-Figures. Collect 'em all! Ages 5 and up. This Display Box contains 12 individually packaged blind packaged 2-packs.